Will Help-to-Buy ISAs really help first-time buyers? Posted 26th March 2015 & filed under Blog, Government Debt, Housing, Intergenerational Justice. One of the most eye-catching new policies announced by Chancellor George Osborne in his pre-election Budget statement on 18 March was that he will launch a new “Help-to-Buy ISA” savings account aimed at first-time buyers, which will directly subsidise the cost of saving up for a deposit on a house. A political gimmick? Or will this genuinely help first-time buyers get on the ladder? Unfortunately, to anyone with an interest in housing policy it smacks much more of the former than the latter. 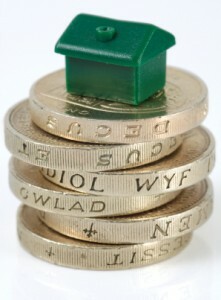 How will Help-to-Buy ISAs work? As many people are aware, an ISA (Individual Savings Account) is a special type of savings product where the interest you receive is tax-free, but in which you can only save up to £15,000 per year. The Help-to-Buy ISA will be a new product which copies this basic format, but it will only be open to people who have never owned a home before. The key feature is that, in addition to the annual interest, savers will get an extra boost because the government will top up the amount they save by 25%, up to a maximum limit of £3,000 (so the most it will do is boost £12,000 of savings up to £15,000). The idea behind this is that basic-rate taxpayers pay a marginal rate of 25% tax on their income, so the government is effectively giving this back to them in order to help them save up for a deposit on a house. The scheme ensures that the bonus money can only be used to pay for a house by transferring it directly to the mortgage lender when the first-time buyer is asked to hand over their deposit, so the extra money will never actually sit in these accounts. Help-to-Buy ISAs can only be used to purchase homes which have a maximum value of £450,000 in London, or £250,000 in any other part of the UK. Interestingly, unlike with some other recent government interventions in the housing market – such as the first phase of the Help-to-Buy mortgage guarantee scheme and the Starter Homes policy – there are no restrictions on whether the money provided by the government is used to purchase a new build home or a second-hand one, which means that a lot of this government subsidy is likely to end up being spent on existing homes, rather than stimulating new housebuilding (which may hint at the scheme’s real purpose; see below). Another important feature of the Help-to-Buy ISA scheme is that the accounts are opened by individuals, so two people who are trying to buy a home as a couple can each get one, doubling the maximum possible benefit to £6,000. This subsidy will not be cheap: the official policy costings for the Budget estimate that it will cost a total of £2.2 billion over the next five years. Are Help-to-Buy ISAs all they seem? Unfortunately, there are two clear reasons why Help-to-Buy ISAs – which the Chancellor said in his Budget speech were a sign that “we’ll work hand-in-hand to help you buy your first home” – may not do exactly what they say on the tin. First, as the government’s own analysis of the problem demonstrates, median first-time buyer deposits currently stand at around £28,000 nationally and almost £70,000 in London. Simply put, first-time buyers will still have an awful lot of saving to do on their own even with this extra leg-up from the government, so it may be of only questionable benefit for many. Secondly, a more telling criticism of this scheme is that it acts as a further boost to demand in the housing market without doing anything to increase supply. It’s economics 101 that raising demand for a good which is in limited supply will result in higher prices, so even if this scheme provides a useful boost onto the housing ladder for some first-time buyers, it is bound to ultimately make it more difficult for the majority. Of course, this point raises the interesting question of whom the scheme was really designed to help. Is it young people trying to get on the housing ladder, or older voters who are looking to cash in on the value of their homes? The best thing the government could do to really help first-time buyers would be to increase supply, through building new housing and/or encouraging the redistribution of our existing stock, by giving people an incentive to downsize, for example. However, the political clout of older homeowners, who could lose out under such a scenario, is too formidable for such strategies to be proposed during an election year. Whoever forms the next government, their willingness to take on these powerful interests will be the true test of how serious they are about helping the next generation get on the housing ladder, but more political gimmicks seem to be the order of the day for now.